BRYAN EATON/Staff Photo. 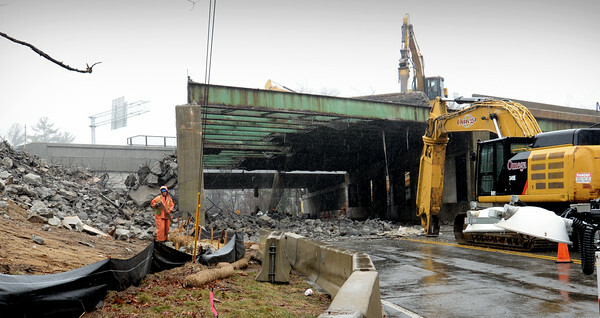 Demolition of the Interstate 95 over Main Street at Evans Place in Amesbury began Monday, though traffic was closed Tuesday as work began began to remove the spans pictured above. Work should be complete Thursday if the demolition goes as planned.